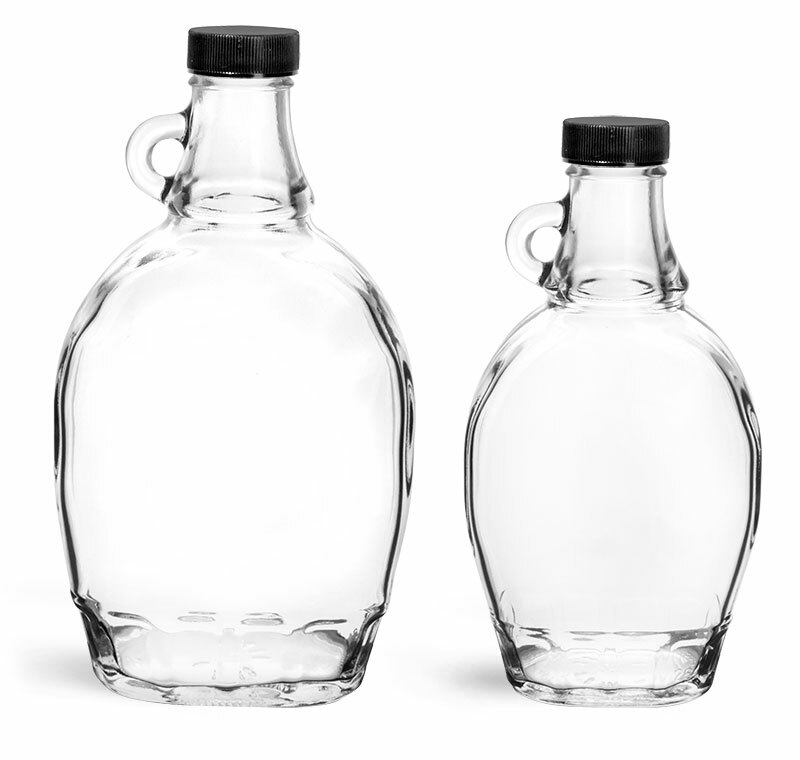 Clear glass liquor flask bottles could be used to showcase a variety of flavored rums like pineapple, mango, and other infused fruit blends. 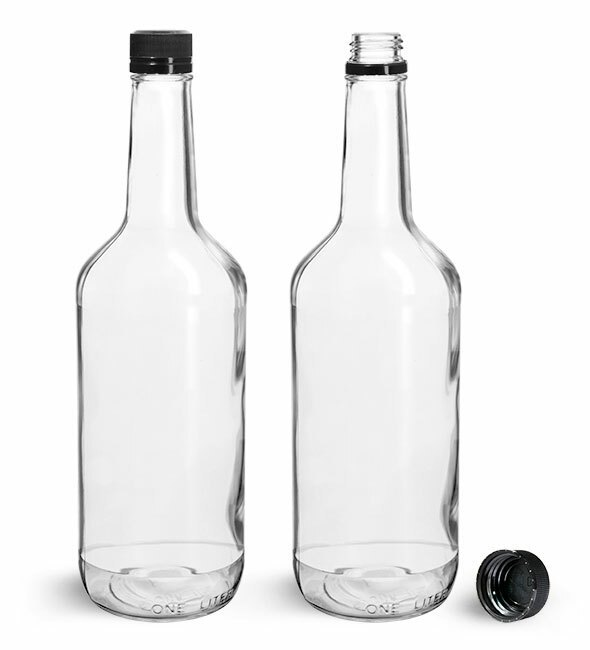 In each size, these glass liquor bottles include plastic black tamper evident caps. 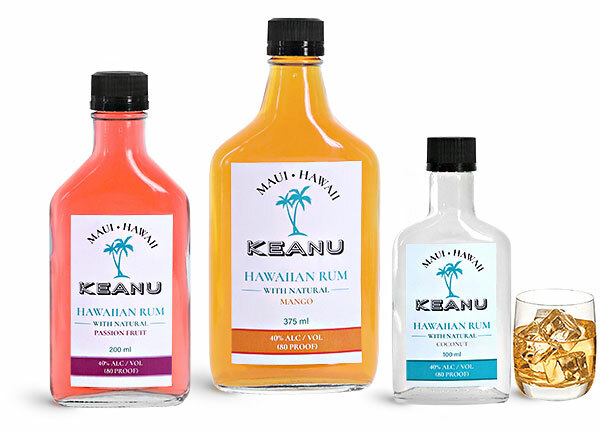 The caps leave a tamper evident ring on the neck of the rum bottles when first opened, indicating clearly that your product has not been previously opened. 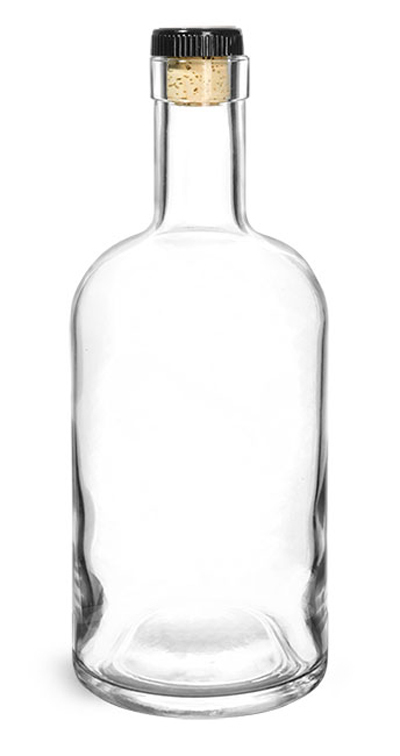 These unique glass rum bottles offer ample front and back labeling space for eye catching logos and important product information, as well as a clear view of the liquor bottles' contents.